The 2019 INFINITI QX80 is the most luxurious SUV to come from the INFINITI lineup. Immerse yourself in the QX80’s luxurious interior crafted to anticipate all of your needs and desires. 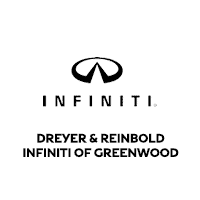 Find great specials on the 2019 QX80 from Dreyer & Reinbold INFINITI South in Greenwood, IN. We offer the best selection of new QX80 SUVs at the best prices. Our INFINITI inventory is always changing, so if you don’t see the perfect QX80 for you, simply call or stop by our INFINITI dealership and let one of expert staff members help you today. Be sure to check out our latest specials to find the great deals on the new INFINITI QX80 now.